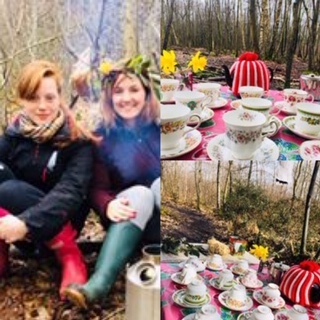 Spend the afternoon at Wilderness Wood, Come along in to the wilderness and honor your mum with a spring garland made by your family with natural materials found in the wood. We will then build a den fit for all the family …Mum’s in charge! Toast teacakes over a fire, make our own jam and heat water in Kelly kettles to make a wild tea.